in the first time i wore hijab, i was afraid that theres hard for me to found clothes or dresses that i can wear to go somewhere especially what im wearin when i go to my campus. but, my mother told me that i can wear everything in my suitcase. then i tried to mix them with my hijab and the result was soo beautiful. i tried to make some new styles with my account at looklet.com last night. i tried to make some hijab style. 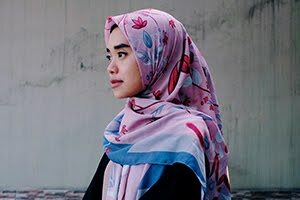 i just want to make a perception that with hijab you can wear whatever you wanna wear into your body, you can wear your old skirt, your t-shirt, your mini dresses, whatever you have in your suitcase, you can wear them as a muslim style.. try it and be youself ! really love how you deliberate it :) so true!! masalah kreatifitas kita aja gmn cara bikin baju2 kesukaan kita bisa ttp kita pakai dan ttp syar'i..